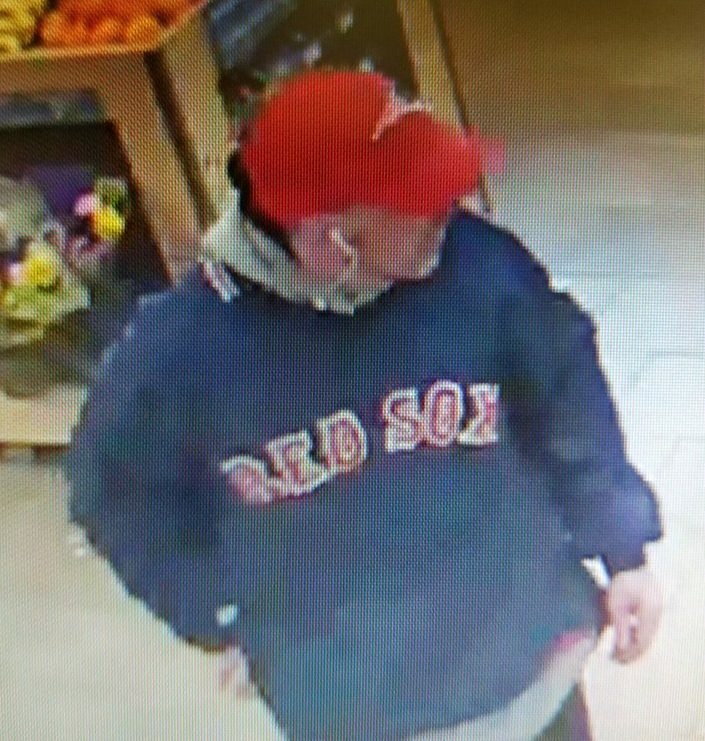 The man, who was wearing Patriots and Red Sox gear, drove off with a Toyota from a convenience store, police say. Sanford police are seeking the public’s help in identifying a man they believe stole a car that had been parked in the Cumberland Farms convenience store lot Monday night. According to a statement posted on the department’s Facebook page, the man, who was wearing a red New England Patriots baseball-style cap and a blue Boston Red Sox jacket, made off with a green 2003 Toyota Camry. Sanford police said there was a temporary New Hampshire license plate attached to the rear of the car. The front license plate was an advertisement for Lakes Region Auto Source. The theft occurred around 6:35 p.m. Monday, the statement said. Police are asking that anyone with knowledge about the theft, or who recognizes the suspect, to contact the Sanford Police Department at 324-3644. Several still images of the man wearing New England sports team gear have been posted on Facebook.